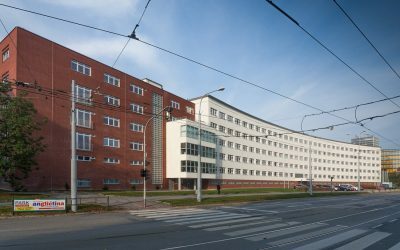 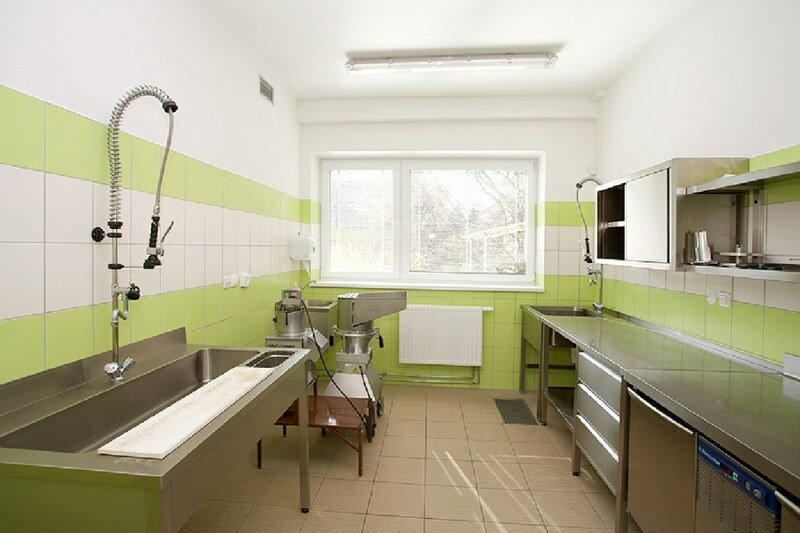 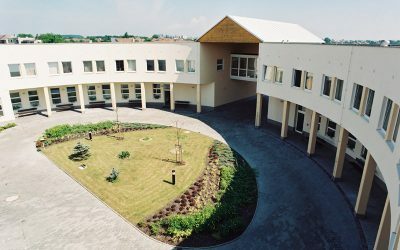 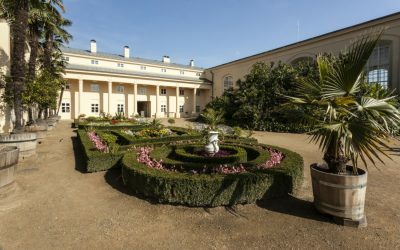 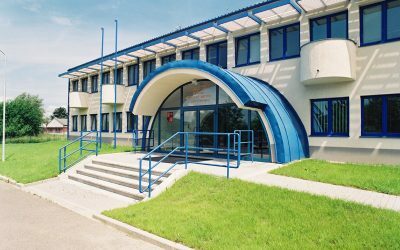 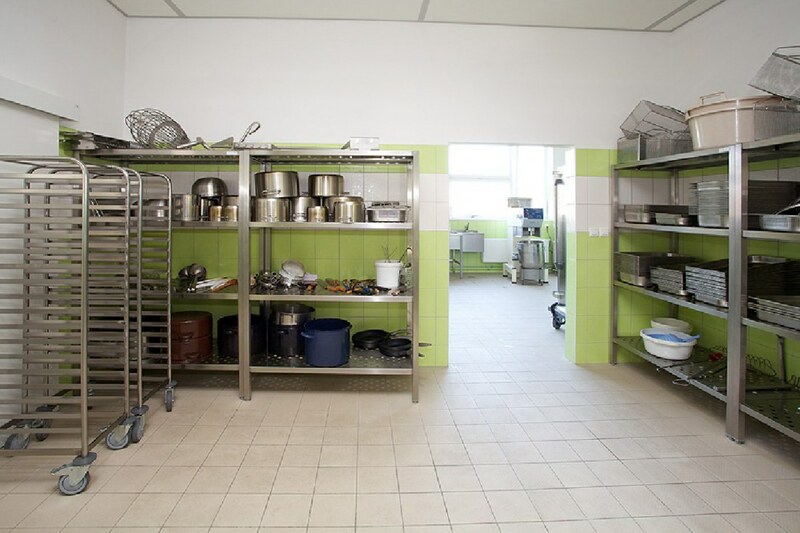 Hundreds of meals are daily prepared in the kitchen both for patients as well as the employees of the Hospital in Kroměříž. 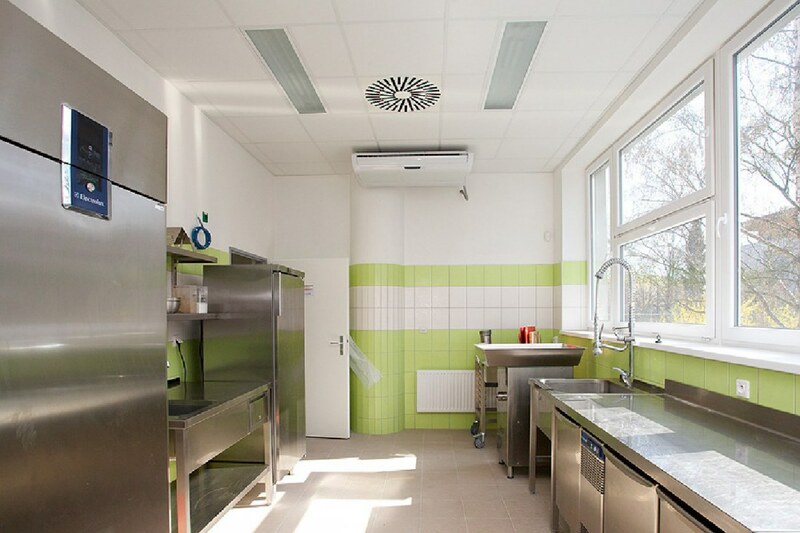 For the kitchen to be enabled to best serve its purpose, it was necessary to carry out a reconstruction of the kitchen area, including the technical equipment. 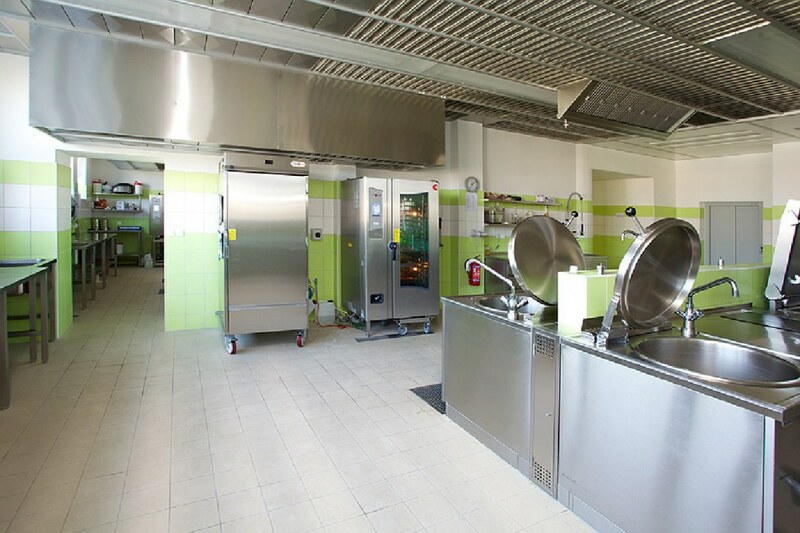 The operation of the kitchen remained in the old premises on the first floor of the building, which had been completely renovated. 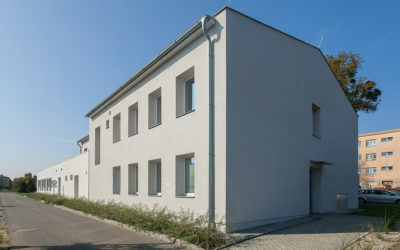 Among the construction works there were repairs and reconstructions of the supporting constructions, modification of the layout and rebuilding of the brick walling. 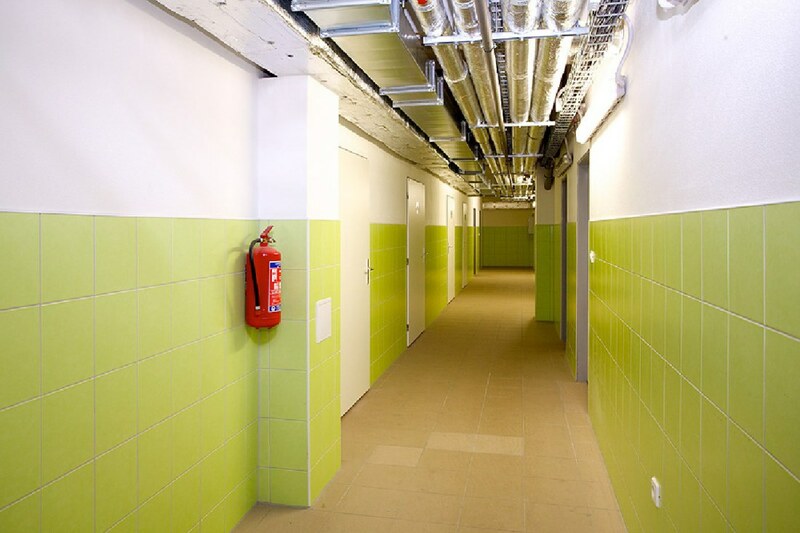 A newly created entry for the staff of the kitchen leads to their dressing rooms and sanitary facility. 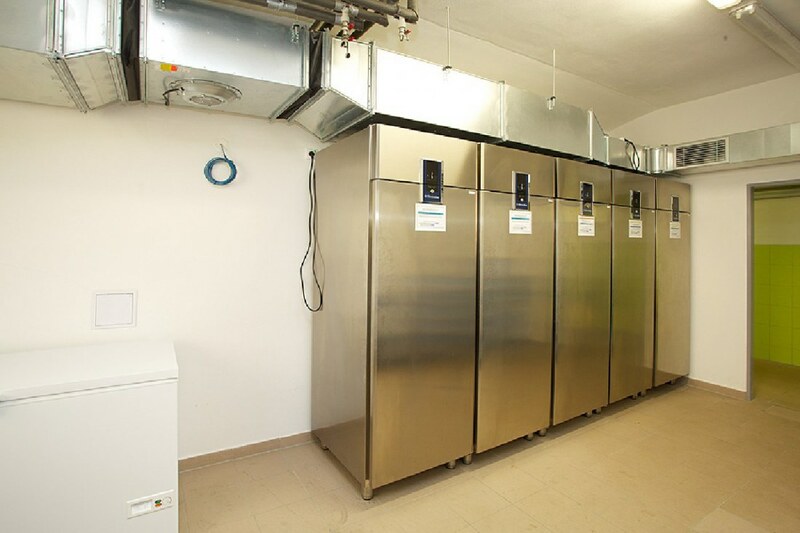 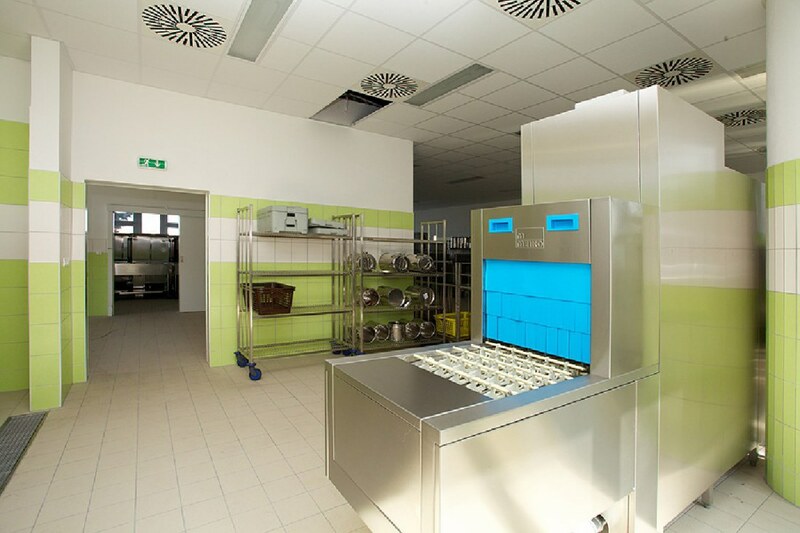 We completely reconstructed also the current ramp for the output of meals – the tunnel dishwasher with a tablet system will enhance the operation of the place. 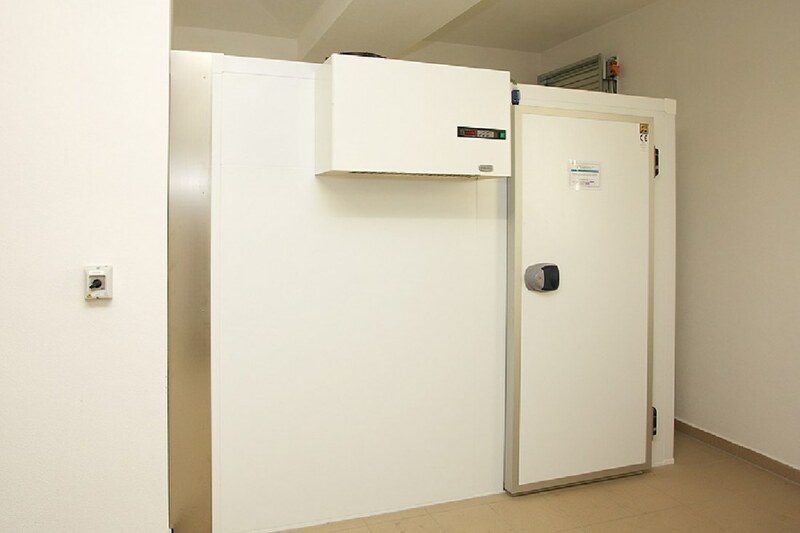 Introducing of this system lowers the spacial as well as economical requirements and will increase the level of sanitation. 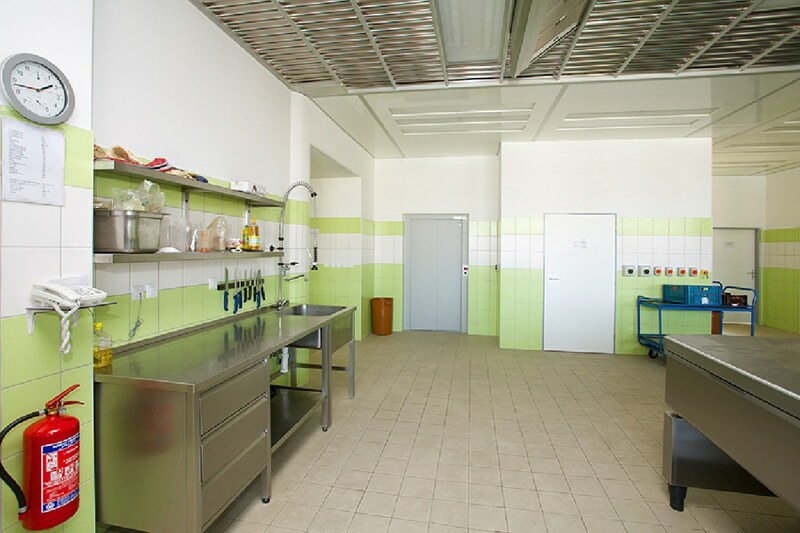 The reconstruction thus eased the operation of the kitchen and the rest of the hospital facilities. 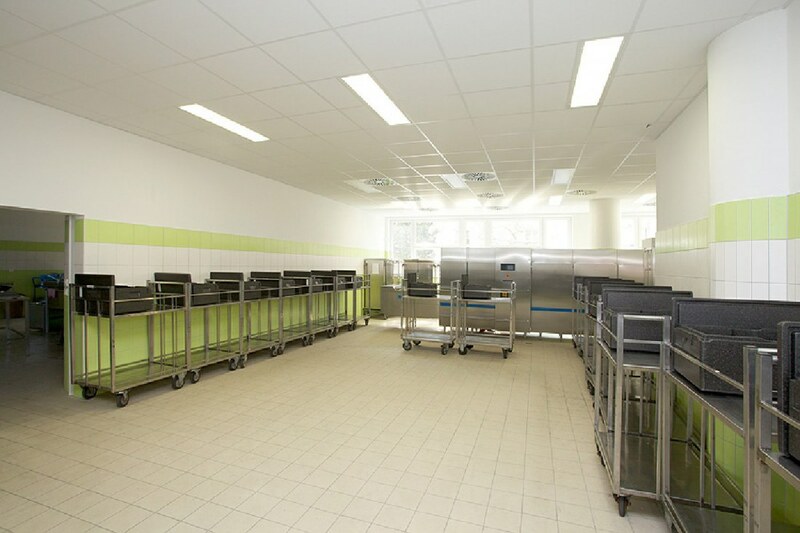 The reconstruction touched also the storage spaces and the kitchen management office located on the first floor. 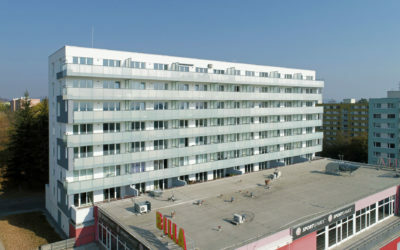 On the remaining two floors, the original layout had been preserved, however, at. 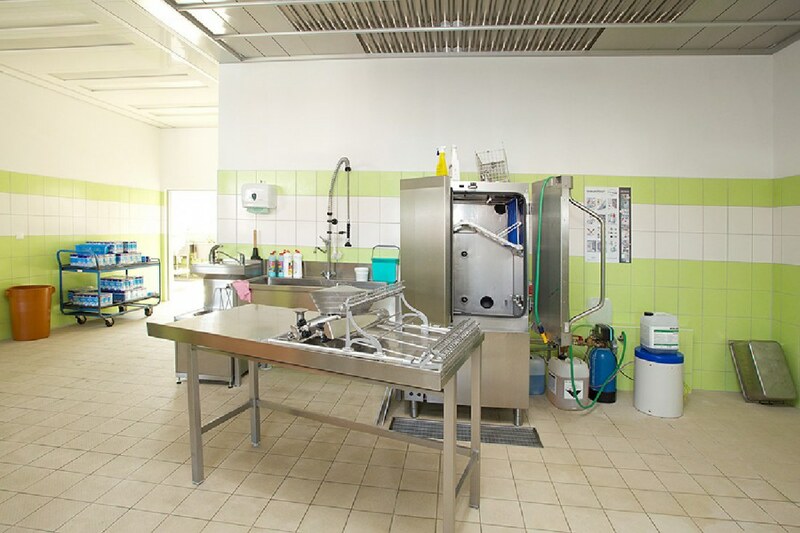 The modernization itself was preceeded by complete sanitation works on the bridge to the building which is the only way of supply for the laundry and whose later repairs would require a complicated way of supply. 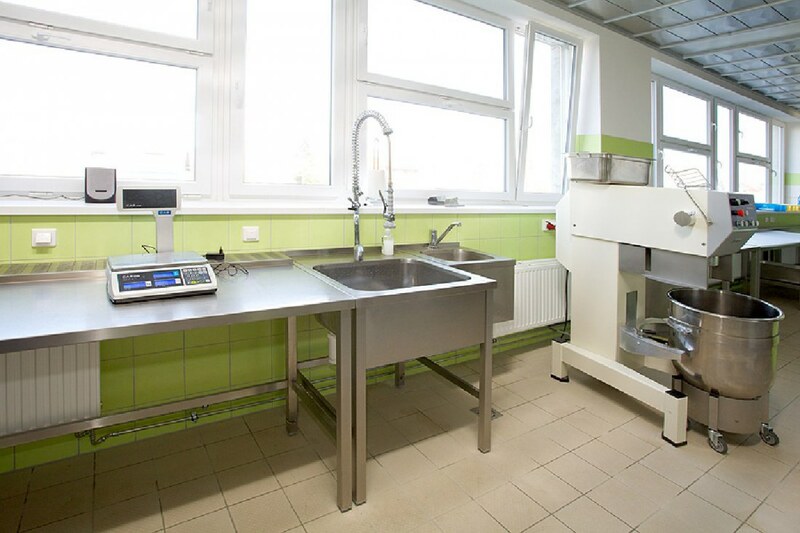 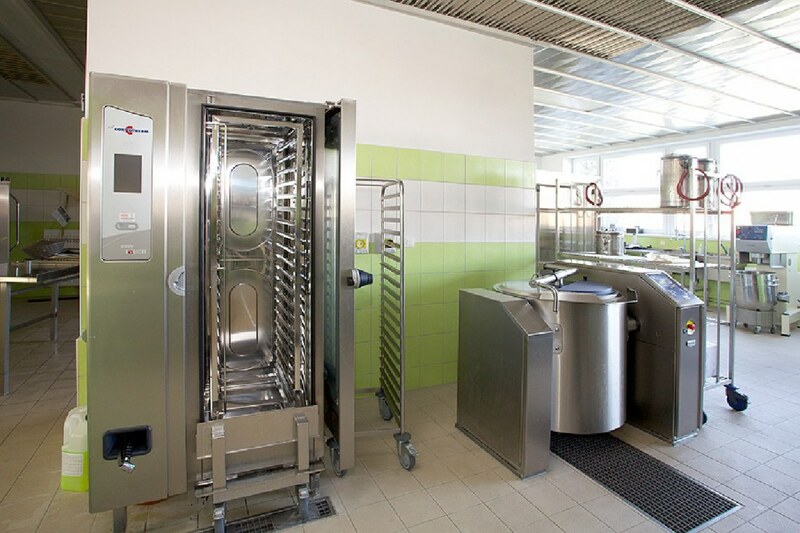 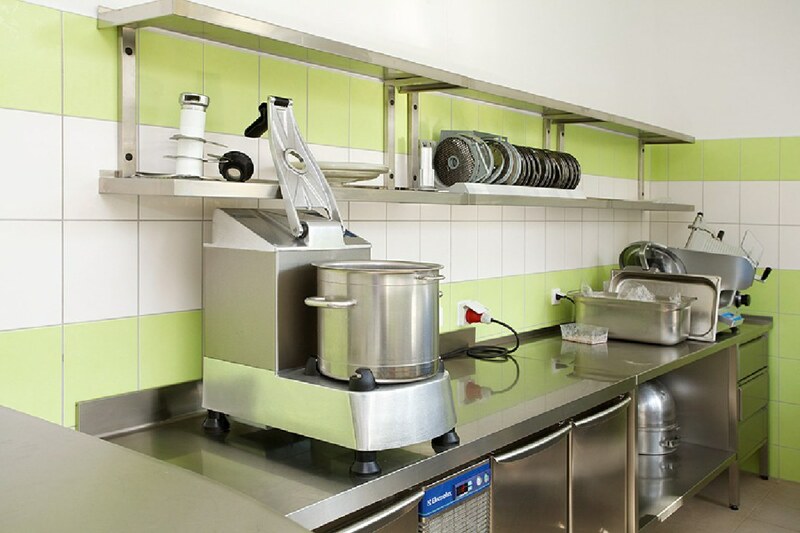 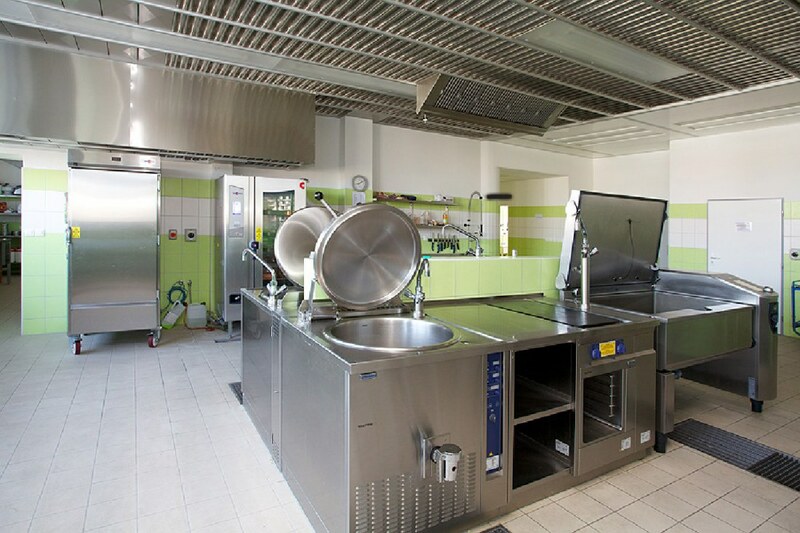 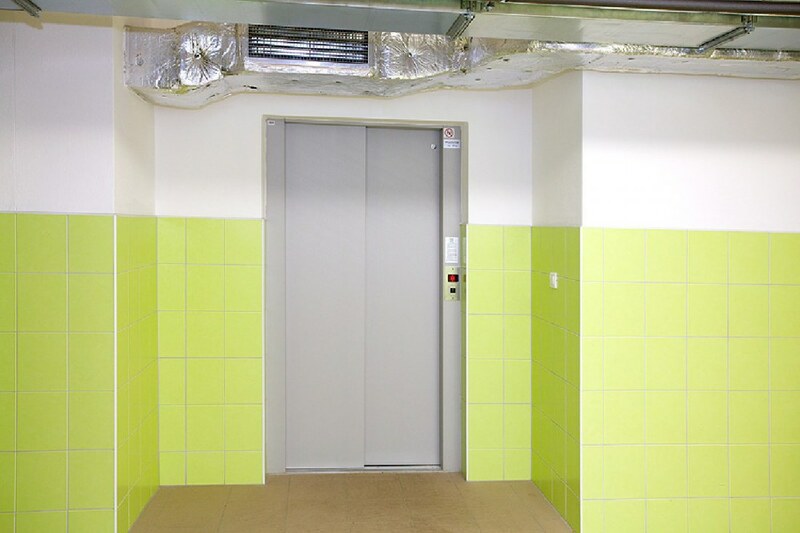 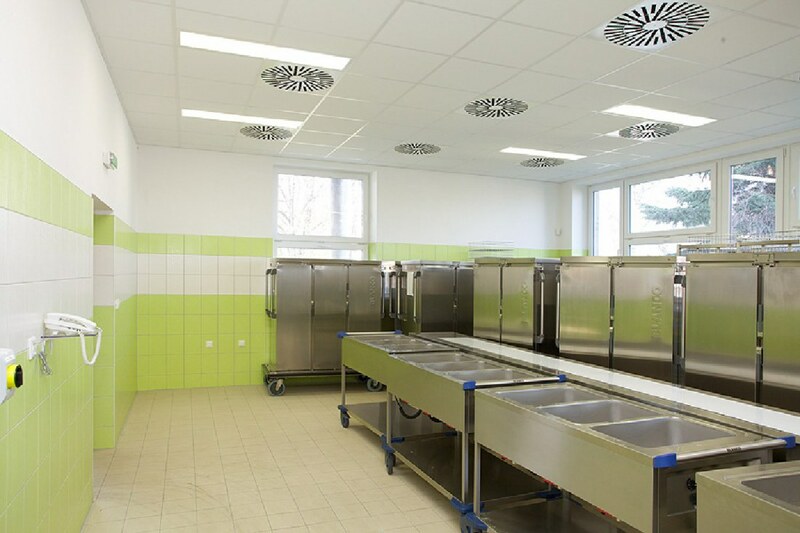 The new solution for the hospital kitchen is overall more economical, it fundamentally improves the quality of the background as well as of the meals dispatched and will be appreciated without doubts not only by the cooks but also by all the hospital boarders.